The Buddha Diaries: HAPPY BIRTHDAY! 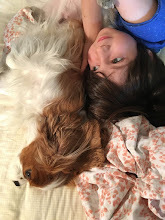 I'm always a bit dubious about posting family details, but I can't help but mention on The Buddha Diaries that today we celebrate a big birthday for our daughter--one of those ending in a zero and marking the start of a new decade. She has much to celebrate in her life, most of all her radiant son, Luka, now just a little more than a year old and on the point of making the transition from baby to toddler. The cherry on her cake this year is a promotion at work, along with the near-completion of a graduate degree (in her spare time from being a new mother and holding down a full-time job!) We are of course inordinately proud of everything she has achieved and of her promise for the future. Happy birthday, Sarah!